Apply as an International Student if you do not have U.S. citizenship, you are not a resident/green card holder, and you will require a student visa to study in the United States. Have questions? Our International Admissions team is here to help you. We travel all over the world; see if we will be coming to your area. Can't make it to one of our events? We'd be happy to hear from you. Ready to apply? Follow these steps. 1. Start your application using Columbia’s application or the Common App. If you have any questions, please contact us at intladmissions@colum.edu or +1 312-369-7130. There are many ways to prove English proficiency. Please review English Language Proficiency requirements. 3. Read about our supplementary materials—not required for admission—and then decide if you want to submit any of them. While test scores are not required for admission, you’re welcome to submit ACT, SAT, AP or IB scores to further demonstrate your preparedness for college-level work. Note: Once admitted, you can take an on-campus placement test if you believe your ACT or SAT scores do not accurately reflect your ability in writing, reading or math. While a portfolio isn't required for admission to Columbia College Chicago, keep in mind that submitting a portfolio makes you eligible for talent-based scholarships! You can submit either a digital portfolio or a video audition by January 15, 2019, for consideration. View portfolio submission guidelines here. Do I need a student visa to study at Columbia? If you are enrolling as a full-time student, you should apply for an F-1 visa. Most students will be applying for an F-1 Visa. If you are part of an exchange program or attending Columbia through a special partnership, you should apply for a J-1 visa. To apply for your visa you will need an I-20 form or a DS 2019 form issued by Columbia College Chicago. How do I apply for an F-1 Visa with Form I-20? To request an initial I-20 fill out the request form which can be found on your status page. This link will be available after you are admitted to Columbia. Those applying for an F-1 visa must do so at a U.S. embassy or consulate using a Form I-20, a Certificate of Eligibility for Nonimmigrant Student Status to study in the United States. Columbia College Chicago will issue your I-20. Proof of sufficient funds to cover the school year. For the 2019-20 school year, Columbia requires you to have proof of funds of at least $48,109. Proof must be an official bank letter or statement on bank letterhead that shows the name of the account holder, amount available and bank official's signature. If the funds are not from your personal bank account, Columbia requires a Sponsorship Verification Form. There is no limit to the number of sponsors a student can have, but each sponsor must sign a certificate of sponsorship and present Columbia with official bank statements. The sponsorship verification form is available at colum.edu/sponsorship. Immigration Pre-Transfer Verification Form. Download and have your school advisor fill out the form available at colum.edu/pretransfer. Please make sure your name is on the second page. Photocopy of passport signature page(s) showing your full name, date of birth, and passport expiration date. Photocopy of current F-1 visa. Proof of sufficient funds (see above). How do I apply for a J-1 Visa with Form DS-2019? Those applying for a J-1 visa must do so at a U.S. embassy or consulate using Form DS-2019, a Certificate of Eligibility for Exchange Visitor Status. It is the basic document used in the administration of the exchange visitor program. Columbia College Chicago will issue your DS-2019. A photocopy of your passport page(s) showing your full name, date of birth, photo and passport expiration date. Proof of sufficient funds. This monetary amount is dependent on your specific program cost and whether you receive any sponsorship or discount. Columbia College Chicago will communicate this amount to you. In order for Columbia to issue your I-20, you must be admitted to the college and you must fill out the I-20 request form on your status page. Please have the required documents ready for upload. (See the Visa and Immigration Information section below for a list of requirements). Once our Admissions team has processed your documents, you should receive your I-20 in two to three weeks. How do I transfer my I-20 paperwork? If you are transferring from a school in the U.S. and already have an I-20, you must fill out the I-20 request form, located on your status page, so we can transfer your I-20. See the Visa and Immigration Information section below for more information. What is eShipGlobal and do I have to use it? Activate your account. After registering, you will receive an email within 30 minutes, prompting you to activate your account. This is required for you to begin using the account. Once the activation process is complete, you will receive a confirmation email. 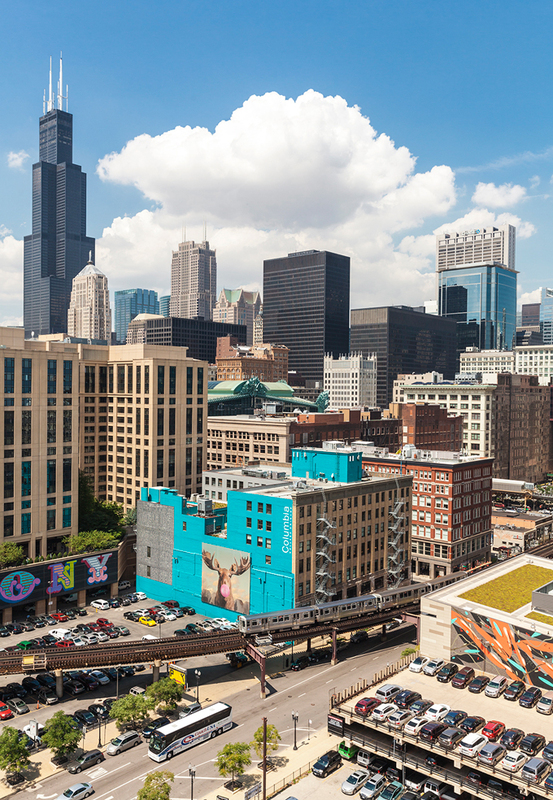 Columbia's campus is located in the South Loop neighborhood, close to all Chicago has to offer—including first-rate museums, concerts, galleries, more than 28 kilometers of trails along Lake Michigan, and a variety of thriving artistic communities spread across the city. Chicago’s comprehensive public transportation system provides access to Midway and O’Hare airports as well as the city’s many culturally rich neighborhoods. Read more about living in Chicago and things to do near campus. What are the important arrival dates for Fall 2019? On-campus housing opens for all international students. You should plan to arrive in Chicago on that day. In the evening, there is a welcome pizza party for international students, beginning 6 p.m.
International Student Welcome Program (ISWP) and orientation. Attendance is required on both days. New Student Convocation, a campus-wide celebration, kicks off the school year. The Buddy Program is a program designed for new international Columbia College Chicago students. The Buddy Program pairs you with a current Columbia student who will be your Buddy for a semester. Your Buddy will be your guide to the college and the city of Chicago, and can also help you with transportation from the airport to Columbia. If you have any questions on this program you can contact Kevin Obomanu at kobomanu@colum.edu. All students must sign up for an orientation session, which will take place either at the college or online. After you sign up for orientation via your status page (colum.edu/status), you will receive information on how to sign up for classes. What is the International Student Welcome Program? The International Student Welcome Program (ISWP) is required for all international students. In this program, you will learn about your immigration status, classroom expectations, and cross-cultural communication skills. This is separate from orientation, which is for all Columbia College Chicago students and is a chance for you to meet other students, talk to your advisor, meet with Student Financial Services, and finalize your schedule. My parents will come with me. Can they attend ISWP? Yes. We welcome parents at ISWP and will have additional activities planned just for them. We do not, however, provide overnight accommodations for parents. If your parents are planning to attend, view our local hotel suggestions. Other important contact information, including Columbia's Global Education team (isss@colum.edu, +1 312-369-7726). Am I required to live in the residence halls on campus? We strongly recommend that you live in the residence halls on campus during your first year at Columbia, either as a first-time freshman or a transfer student. There are many neighborhoods in Chicago and many styles of our apartments. In our experience, we've seen too many students have problems when they rent an off-campus apartment before experiencing the city first. After you decide to enroll and make a deposit to confirm your attendance, you should visit your status page (colum.edu/status) to complete a housing application. Please note: you must submit a $500 prepayment when you apply. For questions about paying for college, see our Student Financial Services FAQs for international students. A global city where creatives thrive.